So you’ve been bitten by Canadian Rockies fever. 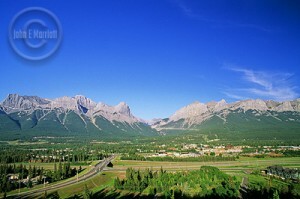 You’ve visited Canmore, Alberta, and fallen in love with Kananaskis country, Banff National Park, and all the awesome activities surrounding the area, such as mountain biking, rafting, skiing and hiking. Find a Canmore job and make this your playground. Photo by John E. Marriott. You’ve decided to make the big leap and move here for good, only one thing’s missing: You need to work somewhere. Life’s pretty inconvenient that way, isn’t it. Fortunately, there are opportunities here. You might want to start by checking for Canmore and Banff ski resort jobs, as well as jobs at Banff National Park. There are also plenty of hotels, restaurants, tour guiding companies, and many other local businesses that often need some hard workers. As you might guess, a lot of them are related to the tourism and service industry. So those are the basics. From here, we recommend pounding the pavement, working hard, and keeping your eyes peeled for the job that suits you best. Happy hunting!